Sparring is the use of the art in a controlled situation. You can hit pads as hard and for as long as you like, but nothing beats defending and attacking a moving opponent who is also trying to hit you too! 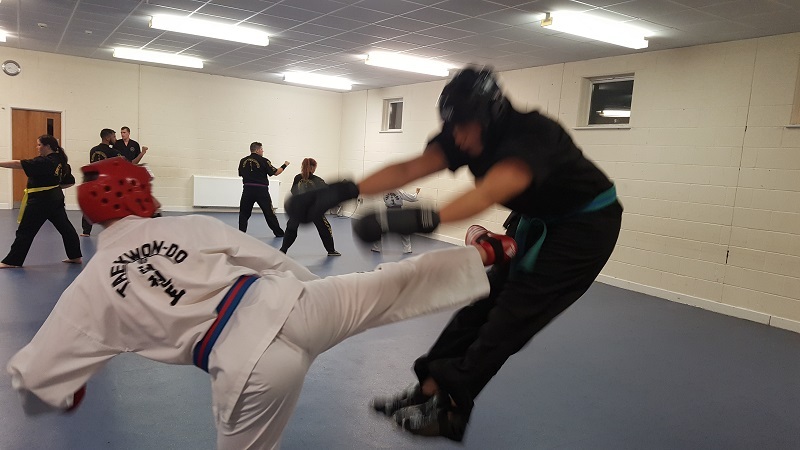 Sparring improves realistic application of the tools you now have along with range, focus and timing which are important attributes for competition sparring or real self defence. All grades spar together in an open forum to accelerate their learning expertise. 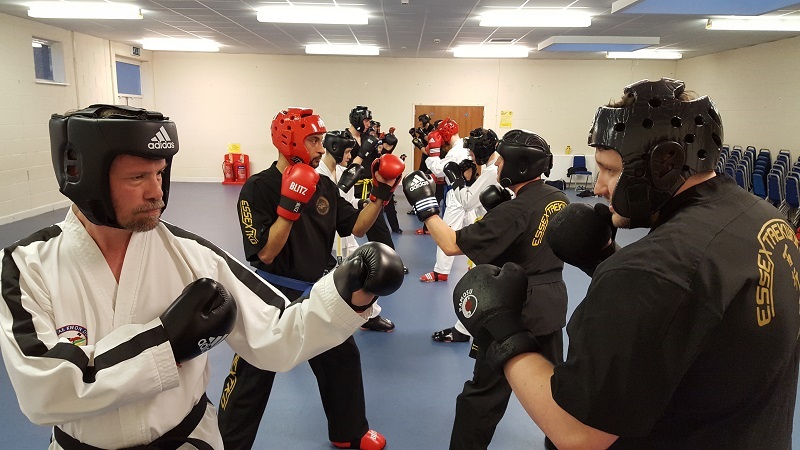 Essex Martial Arts has a good reputation for producing excellent fighters who compete in the tournament circuit. Students all wear semi contact gloves, foot pads, shin pads, head guards etc.to reduce the risk of injury.